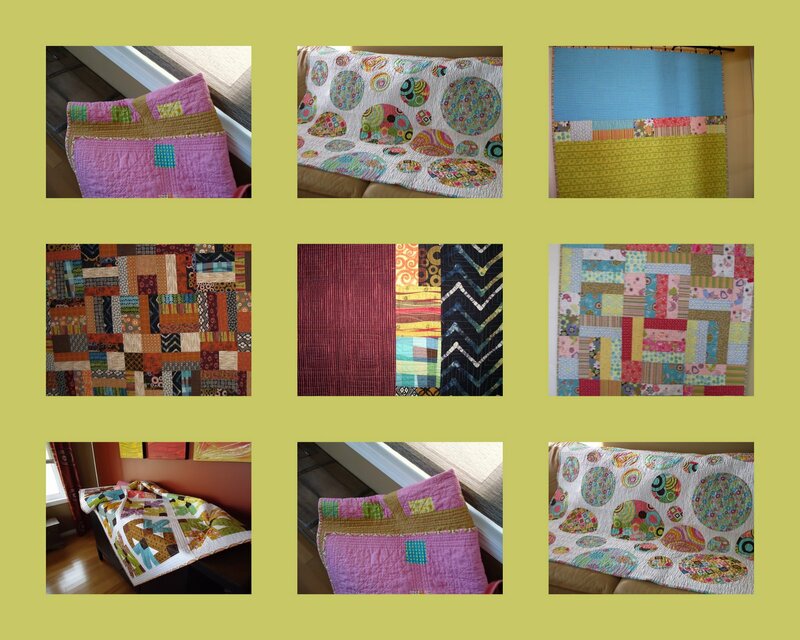 The Quilting Edge: What Have I Done All Year? I just hide the unfinished projects in shoe boxes - that way they don't exist. Making quilts for other people seems to be a good way to get them finished. Anything I am making for myself or just for the fun of it is easier to shelve. I am laughing that you included the backs as well to pad the mosaic out. That was kind of sneaky of me. About boxing stuff, I do that too....there's too many to count,but a mosic of unfinished stuff(or quilts in progress..sounds better) wouldn't need any padding at all...I might need to make several mosaics. It's always on my to do list, and something that I'm resolving to take care of in the new year. Thanks it does...here's to a better year!!! I definitely have the same problem! Your quilts are lovely.